A286 is an age hardenable, iron-base alloy with high strength and excellent fabrication characteristics. A286 has a unique ability to maintain solid strength and oxidation resistance at temperatures upwards of 1500°F, making this progressive alloy a mainstay in aircraft gas turbine engines. 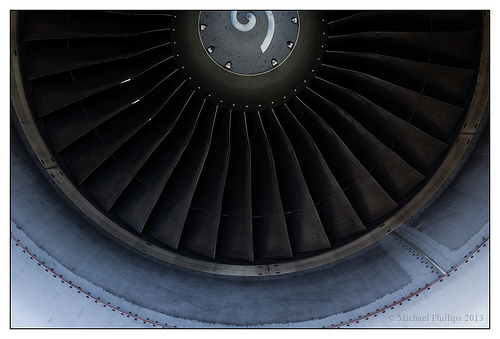 Inconel 718 is a nickel-chromium alloy being precipitation hardenable and having creep-rupture strength at high temperature to about 1300°F, making it too an ideal choice for turbine engines. It is known for its corrosion resistance, high strength and outstanding weldability. 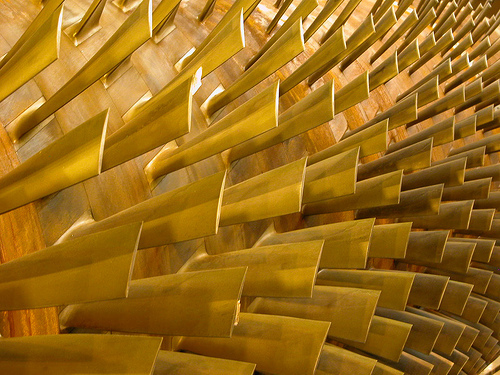 Materials are subjected to extreme conditions in jet engines, with the turbine blades having walls approximately one millimeter thick, moving at 10,000 rpm, making it imperative the alloys used to make up the turbine blades can withstand incredibly high temperatures from different gasses. The similar characteristics of Iconel 718 and A286 allow each one to perform well in high demanding environments as that of a jet engine, which in turn allow the jet engines to be run at higher temperatures. Running the jet engines at higher temperatures, reduces fuel consumption, and increases gas pressure, which directly lends to reducing emissions from air travel. Both are excellent choices for aircraft turbine engines with amazing creep-rupture strengths at temperatures upwards of 700°C. The high quality weldability characteristic of Iconel 718, used as the turbine disk material in jet engines, vs. the simpler and more efficient machinability of A286 creates the biggest difference in their use within aircraft turbine engines. The corrosion resistance of A286 is excellent, up to 1300°F, perfect for working against the many atmospheres encountered in the jet engine service. Iconel 718 is unique in the fact it permits age hardening resulting in welding without spontaneous hardening during heating or cooling. The iron-base alloy group, of which A286 is a part of, is easier to machine than the nickel-based hardening grades such as Iconel 718. The melting point of Iconel 718 is 2437°F while the melting point for A286 is slightly higher 2460°F.